Giorgio De Chirico was an Italian artist who formed the Metaphysical Art movement. He was firstly influenced by surrealism and later became interested in neoclassical or neo-Baroque painting techniques. 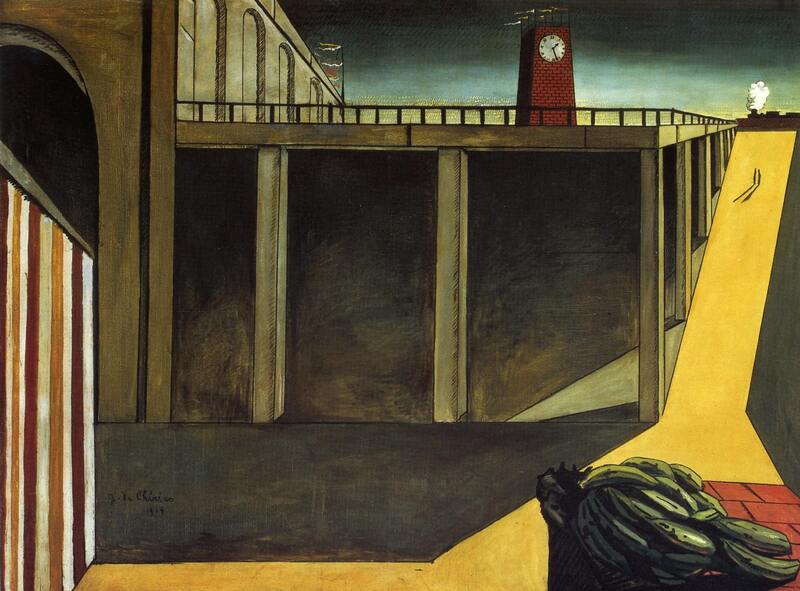 De Chirico was famous for his disordered collections of symbols that created an eerie mood. 'The Melancholy of Departure' depicts the Gare Montparnasse railway station in Paris.The angular perspective, long shadows and deep colours of early evening are a recurring image in De Chirico's work.